Chef's new London eatery is the latest Asian restaurant owned by a non-Asian restaurateur to attract criticism. 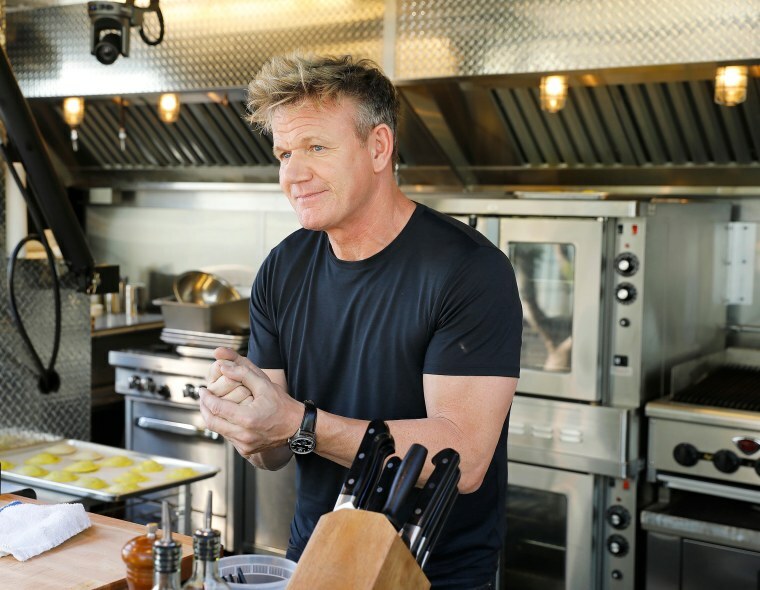 Chef Gordon Ramsay criticized a food writer last week who called a preview of his new restaurant, billed as an “Asian Eating House,” an “actual kitchen nightmare,” a reference to one of his TV shows. Among the observations that writer Angela Hui noted in her report on Ramsay’s Lucky Cat restaurant preview for Eater London was that she was the only East Asian person in the room of 30 to 40, and that the restaurant appeared to conflate Chinese and Japanese ingredients and flavors. Reached by NBC News, Ramsay’s team declined additional comment. Supporters of both Hui and Ramsay argued online, some defending Hui’s “lived experience of racism” and accusing Ramsay of bullying, while others criticized the writer’s characterization of Lucky Cat’s executive chef, Ben Orpwood. Lucky Cat is scheduled for a summer open in London, replacing Maze, another Ramsay restaurant that currently occupies Lucky Cat’s storefront. Among the dishes at the early April preview of Lucky Cat were a kingfish sashimi, a smoked duck breast with ahed plum and Japanese pear, and a “yuzucello” digestif liqueur, according to Hui. Speaking to NBC News last year, New York University Prof. Krishnendu Ray, who studies food and immigration, said there are way chefs can open restaurants featuring cuisine of a different ethnicity, but that requires effort in understanding the roots and history of the cuisine and the cultural dynamics that enable the chef to open the restaurant.